Everyone knows that Chuck and Jim Dolan are among the most made-fun-of moguls in cable because of their scattershot deal making, their intrafamily squabbling, and their arrogant dismissing of shareholders. There's even been something called the Dolan Discount for a long time -- a penalty put on the stock of their No. 5 Cablevision, because investors don't trust the duo. But their dysfunction has been overlooked of late as the stock price has shot up. The Wall Street Journal now is laying it on the line -- at least as much as it can using wish-washy language of mainstream journalism -- and calling for Jimmy Dolan (aka the leader of blues band JD & The Straight Shot) to get the f**k out as Cablevision CEO. The “Heard On The Street” column says the company is right now overvalued unless Dolan “as speculated” leaves to run his company’s Madison Square Garden subsidiary, thus clearing the way for a buyer for Cablevision. That's because the real brains of the operation is COO Tom Rutledge, and the WSJ warns that when his contract is up in December “it isn’t a slam dunk” that he’ll re-sign. My own sources say some pretty important people have been whispering it’s time for the clown parade at Cablevision to end so that Time Warner Cable or Comcast can take over its coveted franchises concentrated in NYC’s most affluent suburbs. 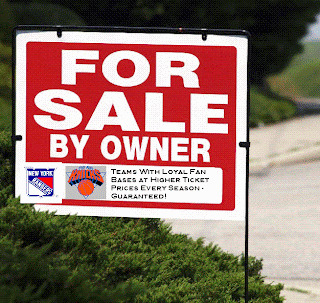 Where does that leave our darling New York Rangers? Jimmy's gonna hang on as long as he can. He should join AA. Maybe Gary Bettman will buy the team. LOL Tushko. Maybe Balsillie will buy Cablevision. Dolan will never let go. He is here to stay so dont waste anymore posts on how this guy doesnt run a business well because we all know that he loves to brag about his sports teams and they got you by the balls because you keep paying for the seats every season and you keep paying for the eighty dollars a month in cable bills. you are the sucka. I worked at Cablevision when it was only 20,000 subscribers on Long Island. Charlie Dolan was the visionary in cable. HBO was his idea, tier programming started with him, and you can thank him for Bravo, AMC, and many other original cable channels. That being said, I'm afraid the same can't be said for his son, Jim. Basically a nice guy, but he's in way over his head. The problem is NY teams generate incredible amounts of money. That's why we have Dolans and Steinbrenners and Wangs. Let's just pray they all realize what they're doing to sports and sell the teams to people who care.